Danely, Jason. 2017. “A Watchful Presence: Aesthetics of Well-Being in a Japanese Pilgrimage.” Ethnos 82 (1):165–92. https://doi.org/10.1080/00141844.2015.1045916. Danely, Jason. 2017. “Carer Narratives of Fatigue and Endurance in Japan and England.” Subjectivity. https://doi.org/10.1057/s41286-017-0037-7. Danely, Jason. 2016. “Hope in an Ageing Japan: Transience and Transcendence.” Contemporary Japan 28 (1):13–31. https://doi.org/10.1515/cj-2016-0002. Danely, Jason. 2016. “Affect, Infrastructure, and Vulnerability: Making and Breaking Japanese Eldercare” Medicine Anthropology Theory 3 (1). Danely, Jason. 2012. Repetition and the Symbolic in Contemporary Japanese Ancestor Memorial Ritual. Journal of Ritual Studies 26(1): 19-32. Danely, Jason. 2016. “Learning Compassion: Everyday Ethics among Japanese Carers.” Inochi no Mirai 1: 170-192. Danely, Jason. 2010. “Art, Aging, and Abandonment in Japan.” Journal of Aging, Humanities, and the Arts 4:4–17. Danely, J. 2018. “‘I don’t want to live too long!’: Successful ageing and the failure of longevity in Japan” In Interrogating the Neoliberal Lifecycle: the limits of success. Beverly Clack & Michele Paule eds. Palgrave MacMillan. Danely, J. 2018. 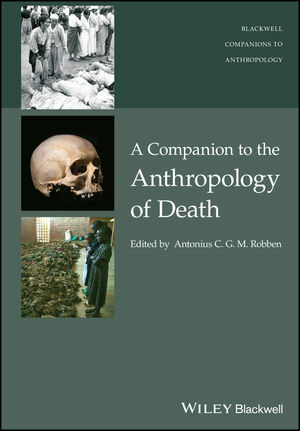 "Mourning as Mutuality" In A Companion to the Anthropology of Death Antonius C. G. M. Robben, ed. Wiley Blackwell. Danely, J. 2018. 30-Second Anthropology, Simon Underdown, ed. Ivy Press. Chapters include Linguistics, Language, Symbols, Ritual and Ceremony, Art & Artefact, Why do we care?, Profile: Margaret Mead, Profile Clifford Geertz, Profile: Paul Farmer. Danely, J. 2017. “Foolish Vitality": Humor, Risk and Success in Japan. In Successful Aging? : Global Perspectives on a Contemporary Obsession. Sarah Lamb, ed. Pp.154-167. New Brunswick, NJ: Rutgers University Press. Danely, J. 2016. Aging and Subjectivity: Ethnography, Experience, and Cultural Context. In Cross-Cultural and Cross-Disciplinary Perspectives in Social Gerontology. Tannistha Samanta, ed. Pp. 69-83. Singapore: Springer Singapore. Danely, J. 2012. “Encounters with Jizō-san in an Aging Japan,” In Studying Buddhism in Practice, edited by John Harding, Studying Religions in Practice (series) General Editor Hillary Rodrigues. Pp. 118-129. Routledge.